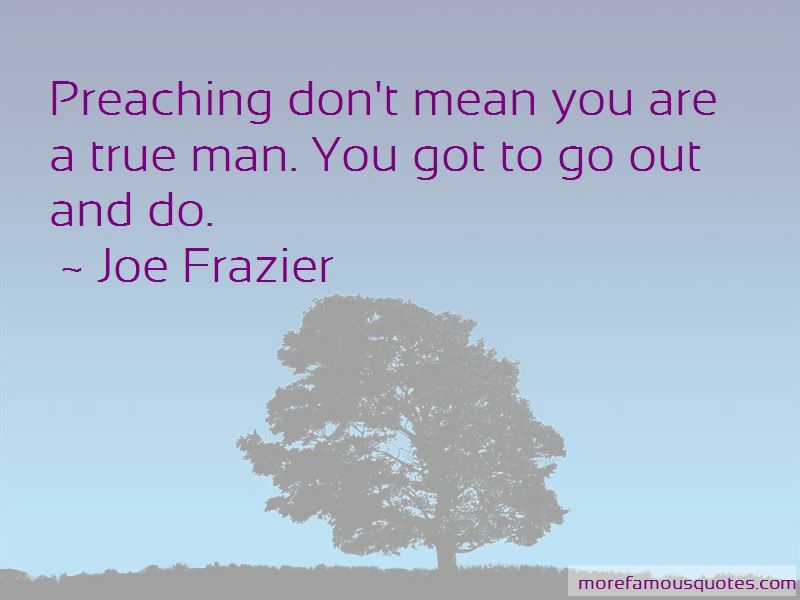 Enjoy the top 55 famous quotes, sayings and quotations by Joe Frazier. I don't want to be no more than what I am. Preaching don't mean you are a true man. You got to go out and do. Ali always said I would be nothing without him. But what would he have been without me? When I was a boy, I used to pull a big cross saw with my dad. He'd use his right hand, so I'd have to use my left. 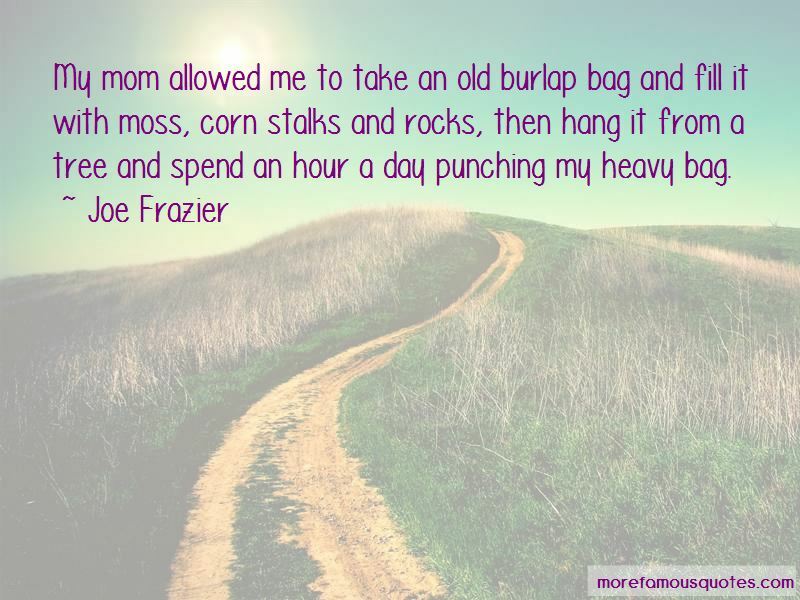 My mom allowed me to take an old burlap bag and fill it with moss, corn stalks and rocks, then hang it from a tree and spend an hour a day punching my heavy bag. Ali would not be Ali unless I had come along. Him and me had three fights. I couldn't go to school with whites. Now there are schools that educate everyone. If I lose, I'll walk away and never feel bad because I did all I could. There was nothing more to do. I hit him with body shots that would have brought down cities. His mouth made him feel like he was gonna win. Not his hands, I had my hand. He had his lips. Ali kept calling me ugly, but I never thought of myself as being any uglier than him, I have 11 babies, somebody thought I was cute. 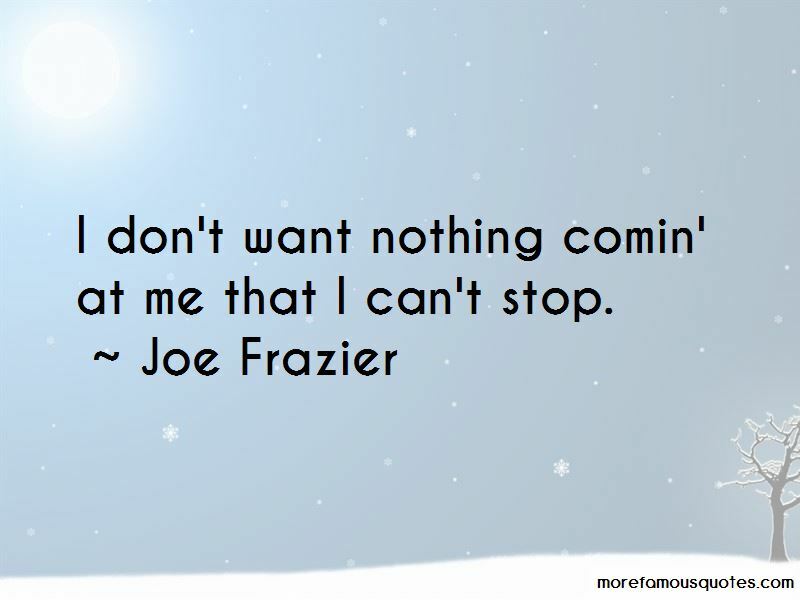 Want to see more pictures of Joe Frazier quotes? 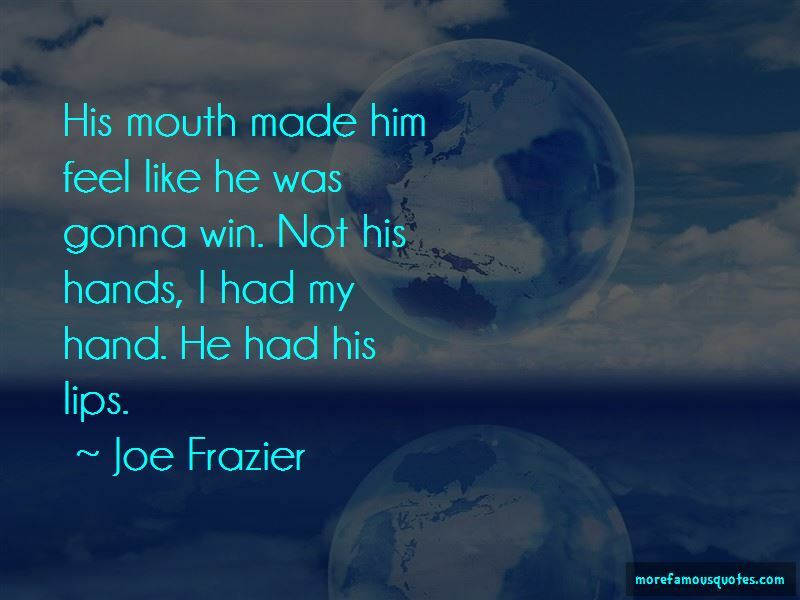 Click on image of Joe Frazier quotes to view full size.